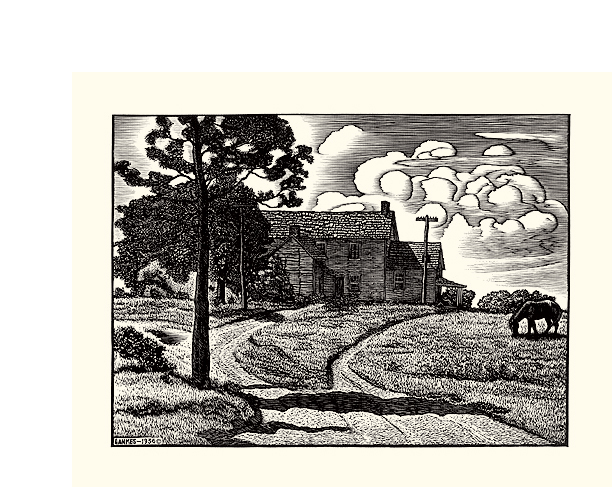 Sunday Afternoon - - 1936, Woodcut. Lankes 889, LC 54. Edition not stated. Signed and dated in the block, lower left. Image size 7 3/8 x 10 3/16 inches (187 x 259 mm); sheet size 13 x 18 inches (330 x 457 mm). A fine, black impression, on cream laid paper, with full margins (1 7/8 to 4 inches), in excellent condition. 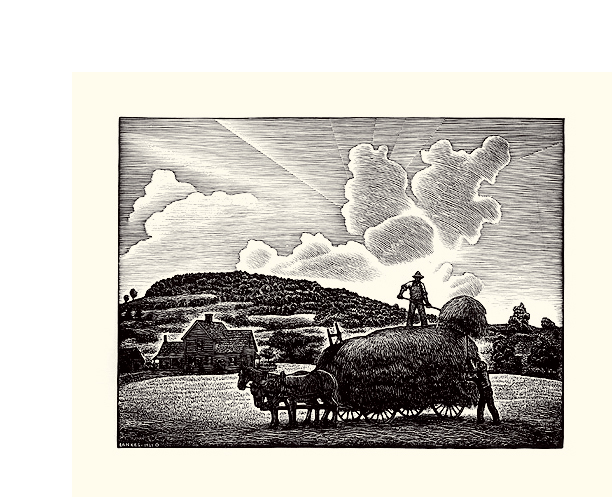 Published by American Artists Group. Collection: LC. 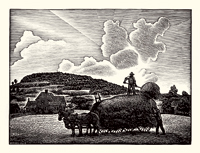 Haying - - 1937, Woodcut. Edition not stated. Signed and dated in the block, lower left. Image size 7 9/16 x 10 3/16 inches (192 x 259 mm); sheet size 12 7/8 x 18 inches (327 x 457 mm). 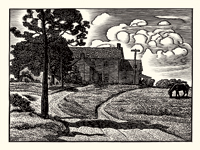 A fine, black impression, on cream wove paper, with full margins (2 3/4 to 3 7/8 inches), in excellent condition. Published by American Artists Group.